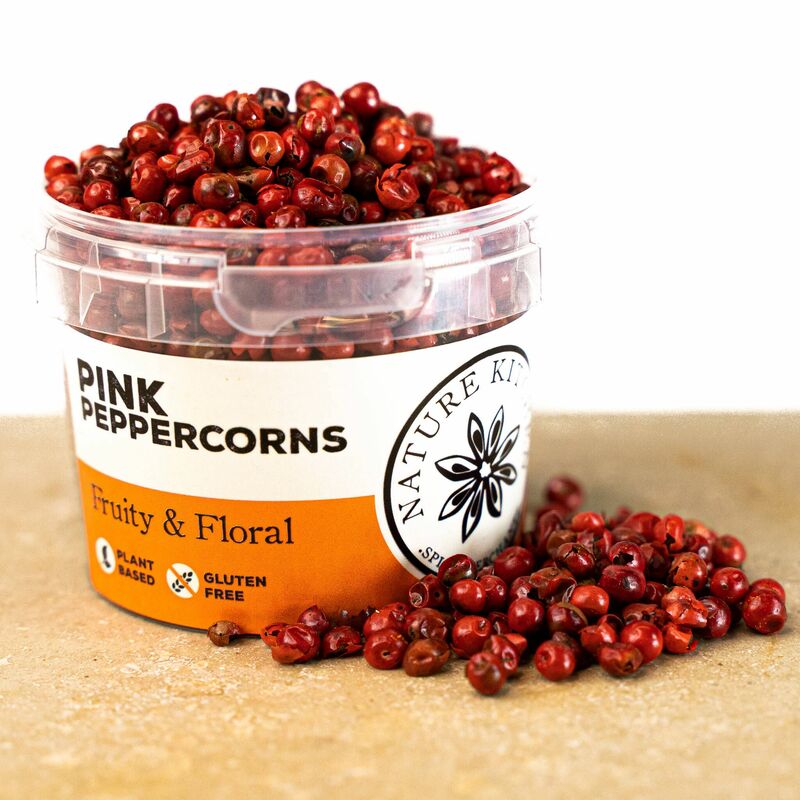 Pink peppercorns have a delicate, fragrant, sweet and spicy flavour which is reminiscent of a mild citrus zest. Pink peppercorns go especially well in fruit sauces, vinaigrette's and desserts. These peppercorns have a rich rose colour that adds an elegant appearance to any cuisine. Pink/Red peppercorns aren't actually peppercorns at all. They are grown on a completely different type of plant called the Peruvian Pepper tree which isn't related to the true pepper plant. The flavour is similar to peppercorns, but much more subtle and light.